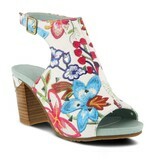 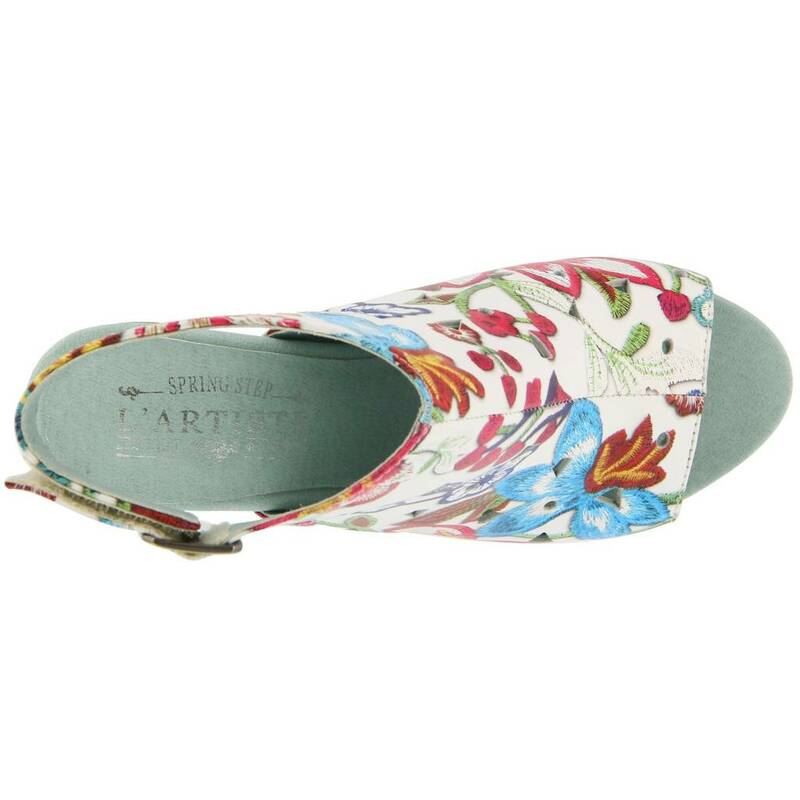 French inspired, embroidery printed leather, geometric cutouts, chunky stacked heel. 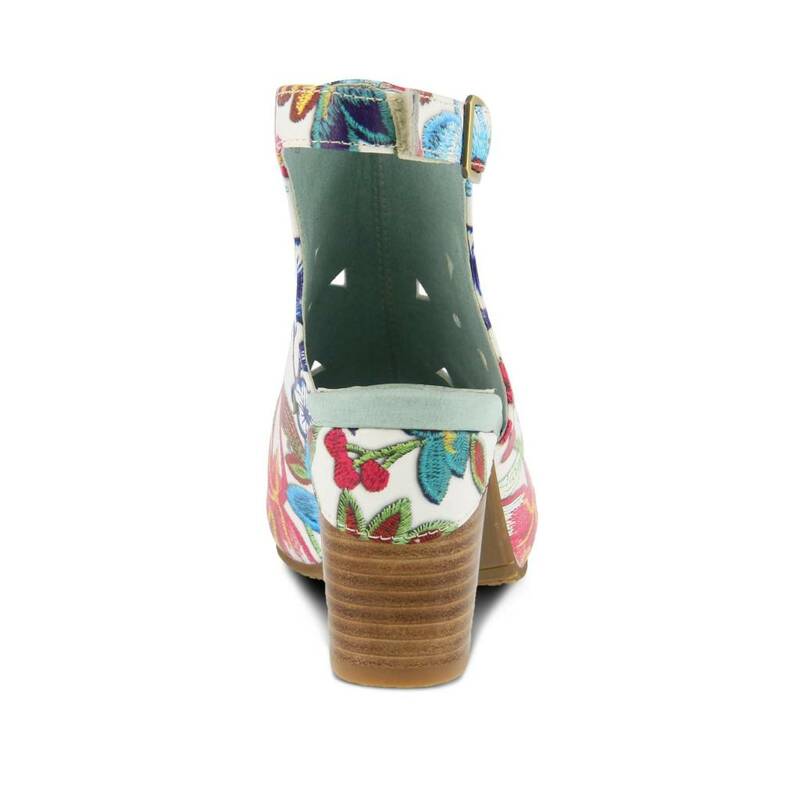 Heel Height (approximately): 3" stacked, 1/2" platform. 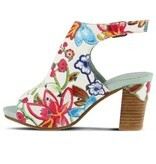 -Round toe, embroidery printed leather with geometric cutouts and a brushed gold metal hardware. -Hook-and-loop adjustable strap with a decorative buckle.